Kia Nurse said it wasn’t an easy decision to come back to the nation’s capital. Photo: Supplied by UC Capitals. 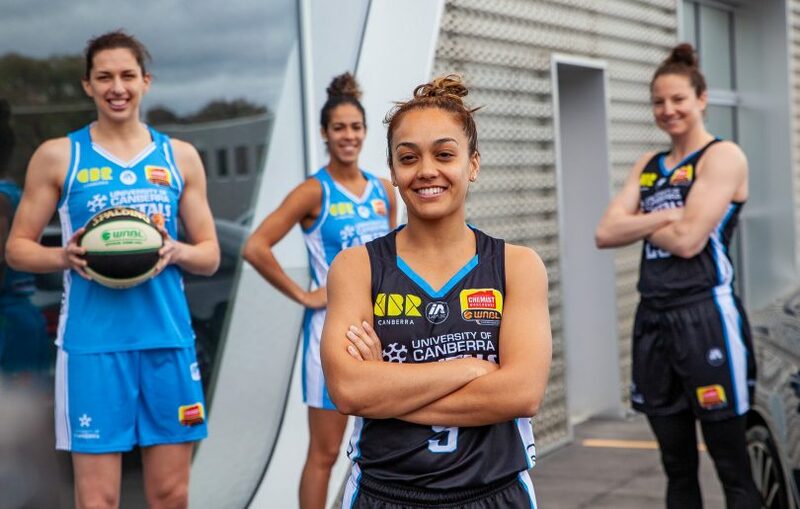 University of Canberra Capitals star Kia Nurse has re-signed with the championship-winning team for the 2019/20 season, following a standout rookie season in the WNBL. The 23-year-old guard was an integral part of the Caps success last season, averaging 34.87 minutes per game and finishing fourth in the league for average points per game, with an outstanding 18.38. Nurse is the third piece of the re-signing puzzle for the defending champions after the Caps re-signed coach Paul Goriss and veteran co-captain Marianna Tolo earlier this month. She is only the fifth player to join the UC Capitals for next season, alongside Kelsey Griffin, Keely Froling and Kristy Wallace and Tolo. Nurse said she did not take the decision to return to Canberra lightly and admitted the excitement of the championship win wasn’t her only motivator. “I was very unsure about coming back. I wanted to explore all of my options. I’m glad to have won a championship but after discussions with my agent and family we decided this was the place to be,” she said. The Canadian international guard will play her second season with the New York Liberty in the WNBA after she was selected 10th overall in the 2018 draft. Will the whole band get back together next season? Photo: George Tsotsos. 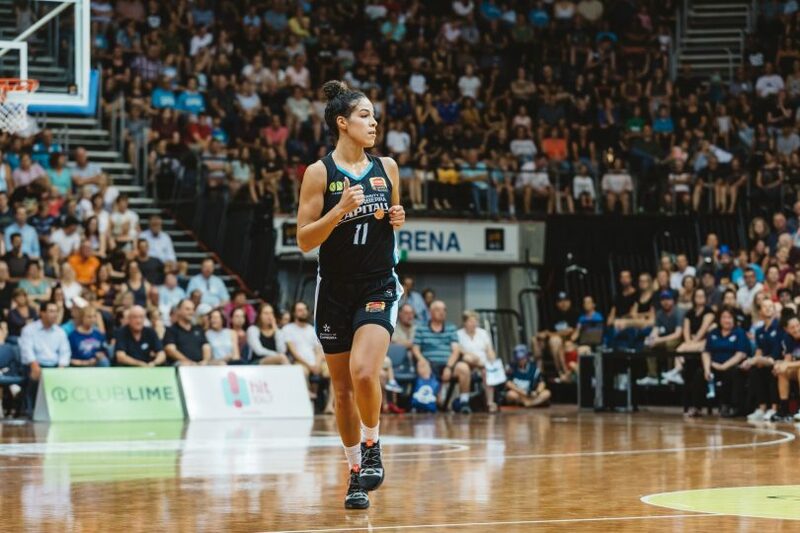 Nurse will spend 2019 preparing for the Canadian women’s national basketball team ahead of the 2020 Tokyo Olympics, which played a massive factor in her decision to return to Australia for her second stint. “I thought Canberra was a great fit and it would be an advantage to know what I was getting into next year,” she shared. “It’s also beneficial that the season is easier on the body than others especially going into an Olympic year. Head coach Paul Goriss said signing Nurse was a big priority for the club since the end of the season. “It’s great to have Kia back on board for another season,” he said. “The way she ended the season was great for us. “She upped her productivity over the finals series, she ended up scoring more in the finals, her three-point percentage was better over the finals series and she goes to show how good of a player she is in those crunch games. “She was obviously a big priority for us to get her back, just from a cultural standpoint but also what she brings to the team, the city and the league. Goriss said the next key signature was one of a point guard and expects to know whether Maddison Rocci, Kelly Wilson and Leilani Mitchell will be with the Caps next season in the coming weeks. “We are still in negotiations with Lei and Kelly about those other two spots,” he said. “We are in constant contact with Maddy Rocci and hopefully we get a decision from her this week.